The Miller Garden adds to its list of nearly 1,000 plants that perform magnificently in our climate. THE GREAT PLANT PICKS program is a gift to Northwest gardeners from the Miller Botanical Garden. Its ambitious yet simple aim is to help us grow plants more successfully, and to this end a great many talented people have given their time and attention the past 16 years. The GPP webpage (greatplantpicks.org) has grown into a rich resource of photos and descriptions of nearly 1,000 plants that perform magnificently in our climate, plus useful lists of plants for specific garden situations. This year’s full-color poster, “Bright Ideas for Shade,” features a palette of new and older GPP picks for less-than-sunny conditions. You can trust that every plant on the GPP list has gone through an intense selection process. Experienced designers, nurserypeople and horticulturists from British Columbia, Washington and Oregon meet twice a year to discuss, sometimes passionately, the virtues and drawbacks of plants considered the best of the best for our Northwest gardens. The criteria are stringent: Plants must be reasonably drought-tolerant, available to purchase, vigorous (but not too vigorous), disease- and pest-resistant, long-lived and hardy. 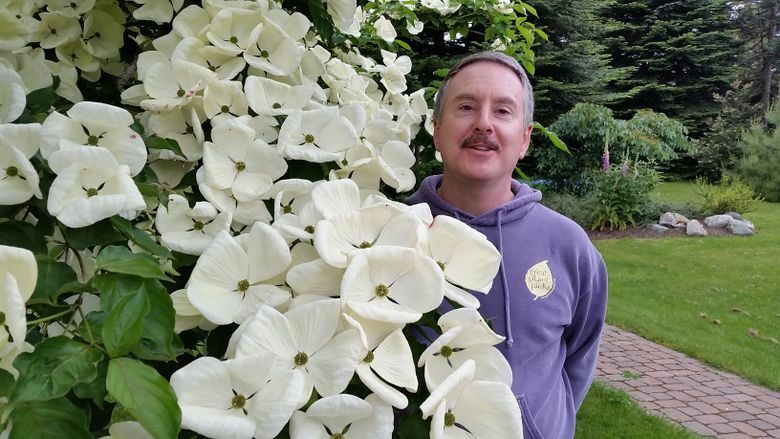 Richie Steffen will speak on “Great Plant Picks: Bright Ideas for Shade” at the Northwest Flower and Garden Show on Sunday, Feb. 26, at 4:15 p.m. in the Hood Room of the Washington State Convention Center. “Bright Ideas for Shade” posters are available free at the Great Plant Picks booth at the show and in the Feb. 19 issue of Pacific NW magazine. • Cornus x elwinortonii ‘Kn30 8’ VENUS, a cross between the kousa dogwood and our native Cornus ‘Nuttallii’, must be one of the showiest dogwoods ever. It’s a heavy bloomer, disease-resistant, grows only about 20 feet high in as many years, and has creamy white bracts that stretch at least 6 inches across. In autumn, Venus sports red strawberry-like fruit as the foliage turns shades of yellow, orange and purple. 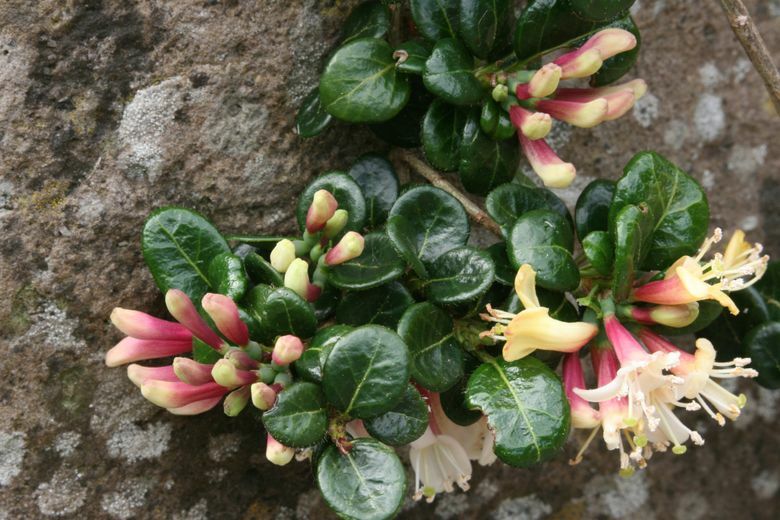 • Lonicera crassifolia is an evergreen honeysuckle that’s more shrublet than vine, growing only about 3 feet long and a few inches high. The flowers are unscented, but make up for it with their charm. The rosy red buds are tipped in chartreuse, opening to bicolor tubular flowers. What a surprise that it’s evergreen, and sufficiently petite to grow in a container or hanging basket. • My all-time favorite primrose made the list this year: Primula ‘Francisca’ (AKA ‘Green Lace’) has unique and startlingly green flowers, which are ruffled and held well above the foliage. 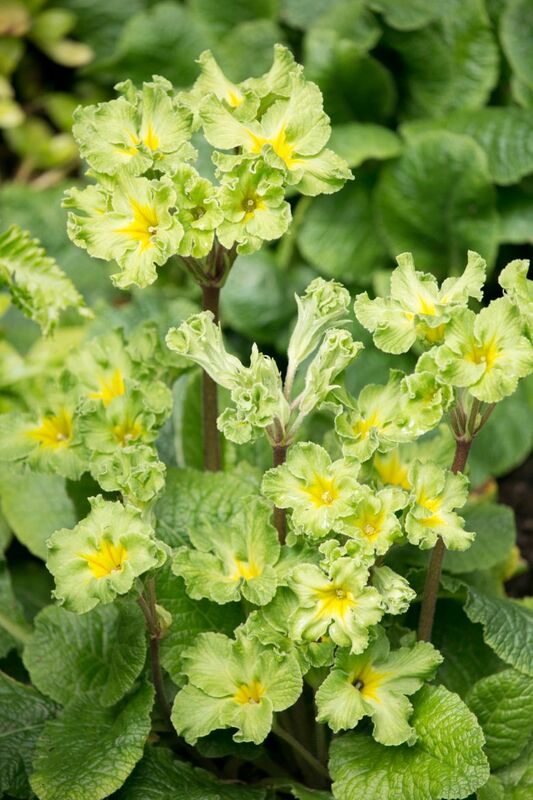 This little beauty is truly perennial and blooms later and longer than most other primroses. • And how about a clematis that acts more like a perennial than a vine? 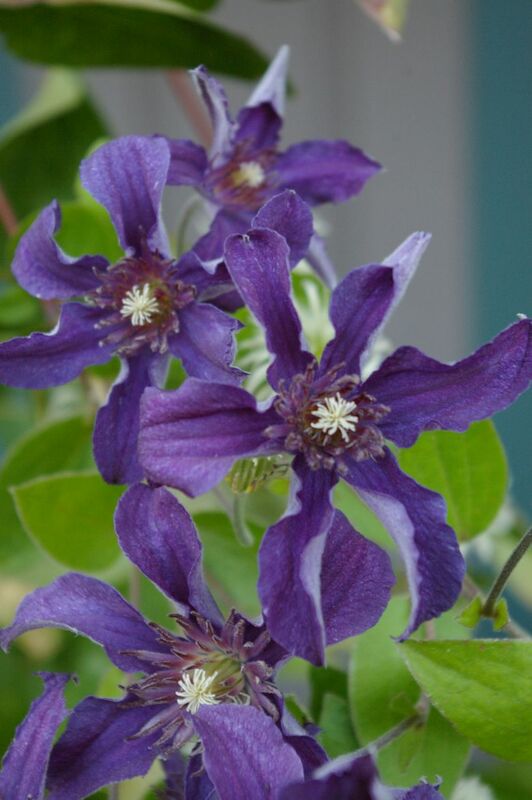 Clematis ‘Cleminov 51’ SAPHYRA INDIGO has royal purple flowers that bloom over many summer weeks. It grows 3 to 4 feet high, can take some shade and is happy to grow up through a shrub or ramble along the ground. • Several allium, or ornamental onions, made the list this year. A standout is A. senescens ssp. glaucum, with lavender-pink flowers and unusual blue-gray foliage with a spiral twist to it. 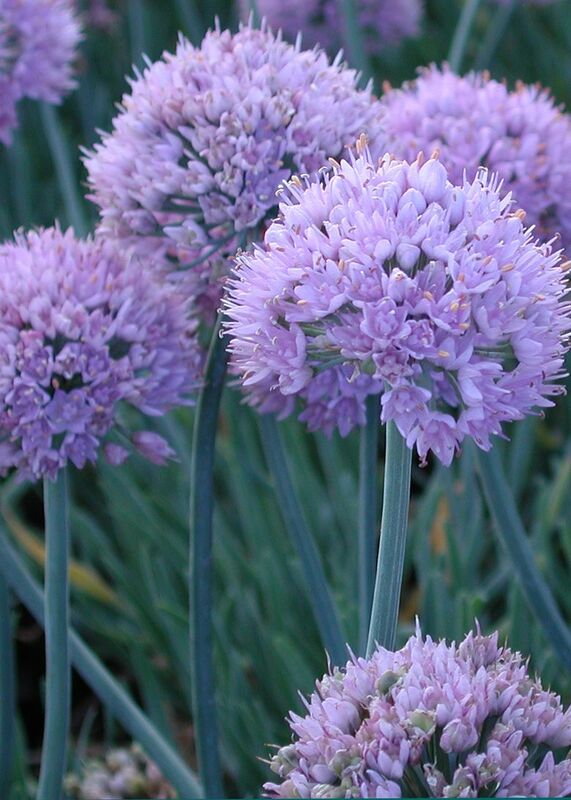 Small in stature, this allium grows only about a foot tall, and is ignored by deer and slugs. • If you’ve been slightly scornful of bergenia because every old rockery in Seattle used to be engulfed in their tattered winter leaves, check out the deciduous version. Miller Garden curator Richie Steffen calls Bergenia ciliata ‘Dumbo’, “an odd stepchild of a bergenia.” The leaves are huge, round and fuzzy; the flowers are pale, soft pink; and if it’s kept watered, it will thrive in full sun. 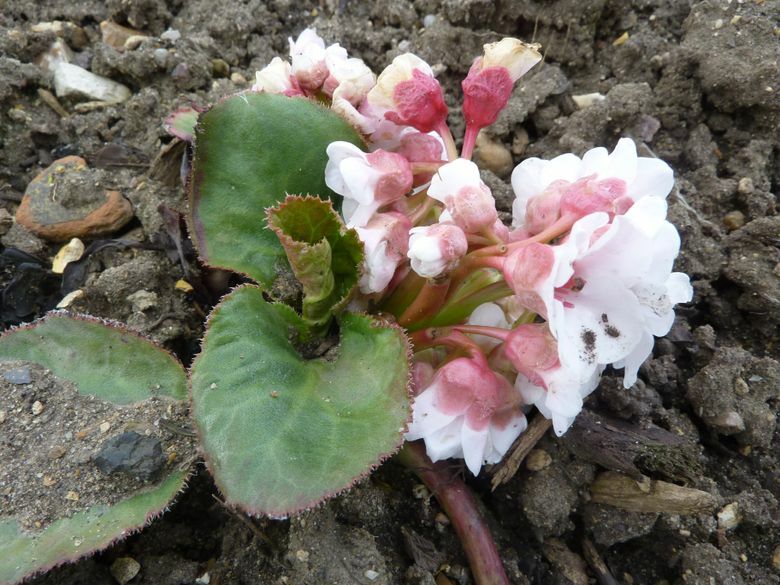 Definitely not your grandma’s bergenia.